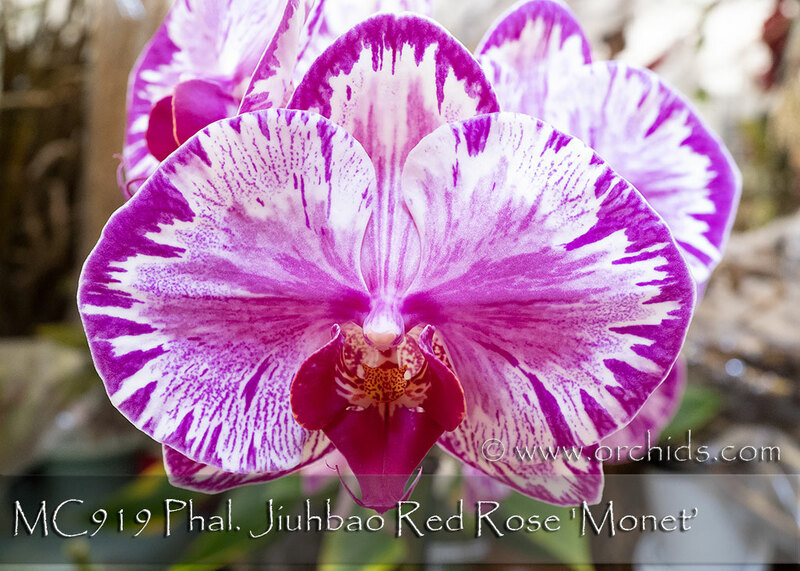 This clone of Phal. 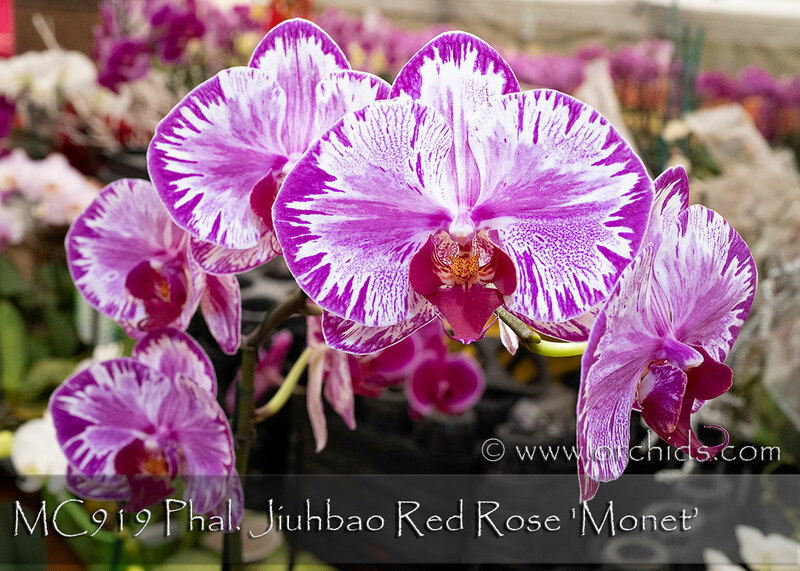 Jiuhbao Red Rose was aptly named ‘Monet’ after the famous painter for its vivid splashes and flares ! ‘Monet’ resulted from our remake of this hybrid using our two awarded parents, the pod parent being boldly splashed. 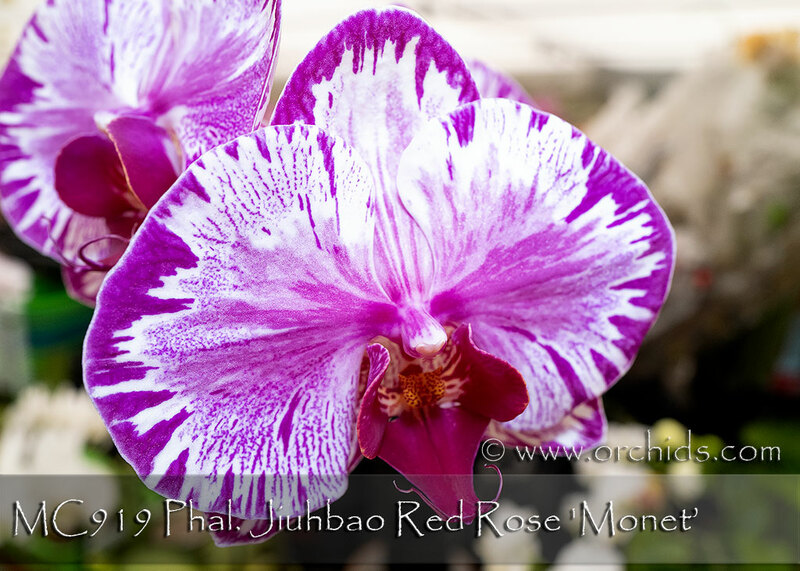 The result has been a very stable splash patterning on its flowers in addition to a slight variegation on the leaves. 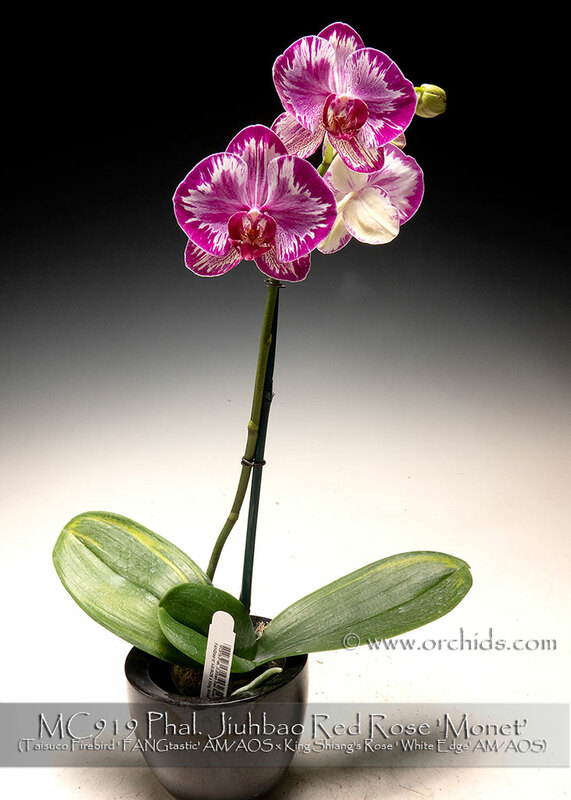 Its almost 4” flowers are produced on gracefully arching inflorescences, adding even more drama to its presentation. A first release and Award Quality, ‘Monet’ is Highly Recommended !